It was beginning of the Christmas season. 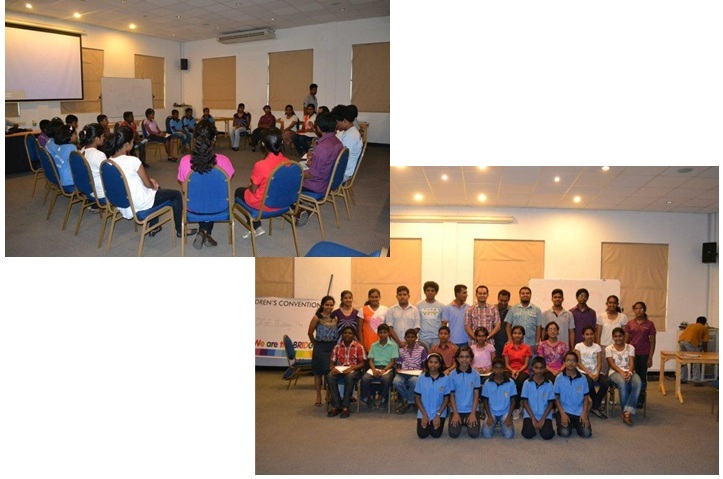 Last Sunday of the month of November 2011, we all PAs got together for a special meeting to Ceylon Continental Hotel Colombo. One by one our PAs start coming to the poolside of the hotel. Even the nature was blessing us with very good weather, so that BCSL can have a restart with new energy for the new voyage. It was so amazing, our first PA Dr. Niroshan Muwanwella, S. Kethiswaram and Ahshan Ali representing the following batches of PAs and many more very senior PAs joined on the day with us. There was a lot to share, since we have not met for a long time. The meeting was chaired by our most senior PA, Dr. Niroshan Muwanwella. We discussed our future plans and the obstacles which we have to overcome. Since the club was in a dormant stage for quite a long time the biggest challenge facing us now was to rally the ranks of BCSL to strengthen it with member participation. 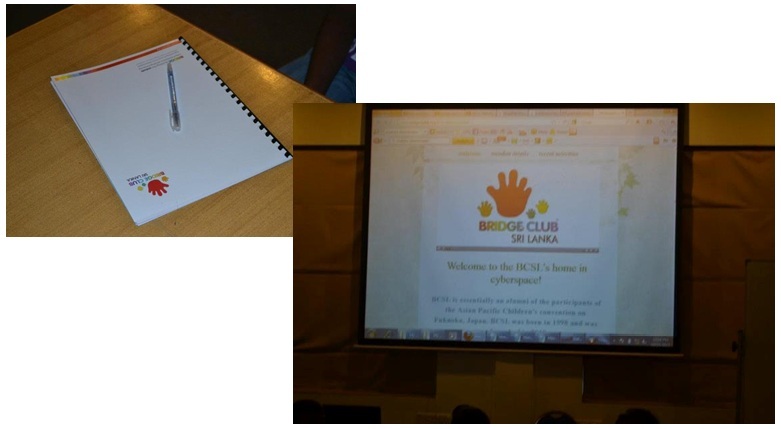 Then we came up with the project called “Bridge. Building the Unbuilt”. Since we are the oldest BC, we decided that in addition to giving priority to social service we also have to concentrate on upskilling the members. As the first step, we decided that the members needed motivation towards participating in club activities and to plan projects that benefit the membership. We thought of inspiring them in developing themselves. We thought that developing their attitudes and skills will not only contribute in making better members for BCSL but also better citizens to the country and ultimately, better global citizens. As an initiation the project “Bridge. Build the Unbuilt” was launched. The theme of the project was to hold an informal get-together which was long overdue to reconnect with the old members and to inspire them to contribute to BCSL in order to lift the status of the culb to its former glory. We had only two weeks after the meeting. The main two barriers that we had was time and contacting all the JAs. It was a race against the time. We, all the PAs divided our tasks, and started working on them. Every one of us got two or more batches to contact in addition to organizing the event. In the very next day after the meeting, we prepared the invitation letter in two languages (Sinhalese and English) and posted the letters to JAs. Then we were lucky enough to be honoured by the confirmation of Mr. Nimal Gonaduwa’s, a well-known management lecturer and a motivational speaker as the guest of honour. His presence was an immense ispiration for us. Not only did he assured us of his presence but he also agreed to deliver a motivational speech on the occasion. Finally the day of our dreams arrived. 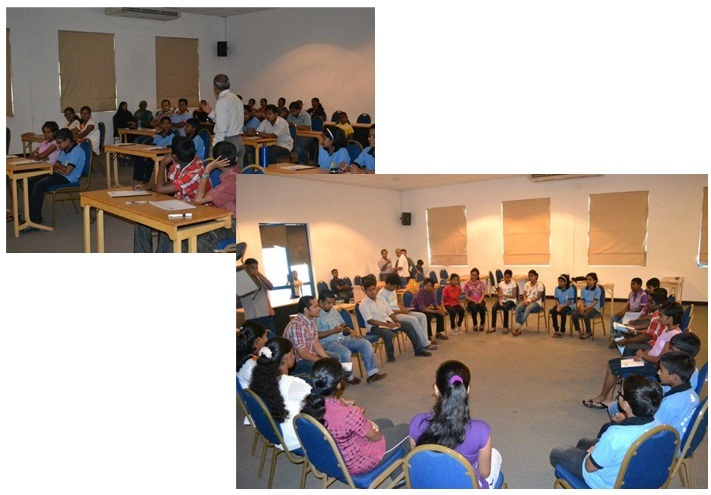 On the 17th December 2011, the very first get together and workshop was going to take place at Royal College auditorium. All the PAs gathered at the auditorium around 0700hrs. With prior preparation during the past 2 weeks we were able to create a note book and a pen with club name as memorabilia. From 07:45hrs JAs started pouring in to auditorium. We were so happy, at the registration deck, there were many names from the far corners of the inland. Most of them have come to Colombo on 16th December to attend the meeting. Such dedicated members motivate us and set a very good example for all other JAs. As we scheduled we have been commence the “Bridge. Build the Unbuilt”. After traditional opening, Mr.Nimal Gonaduwa started his persentation. He focused on club activities, how members benefit through a club, BCSL past activities and many other relevant fields. Not only JAs, but also all of us were so attracted and learned a lot. He being a member of well-known social service organization called “Lions”, he advised us on club functionalities, and organizing. After that we had an informal round table discussion. In that we were able to gather many ideas and identify areas to improve. It was one on the unforgettable moments that we had in BCSL. Then we took a break for lunch. After the lunch all JAs, PAs and parents had a friendly discussion and moment of exchanging experiences. We have to make a special mention of the parents of the newest members of the club who took time off to bring their children to this special get-together. In conclusion, with the fullest support of our past PAs, we have been able to make “Bridge. Building the Unbuilt” a reality.